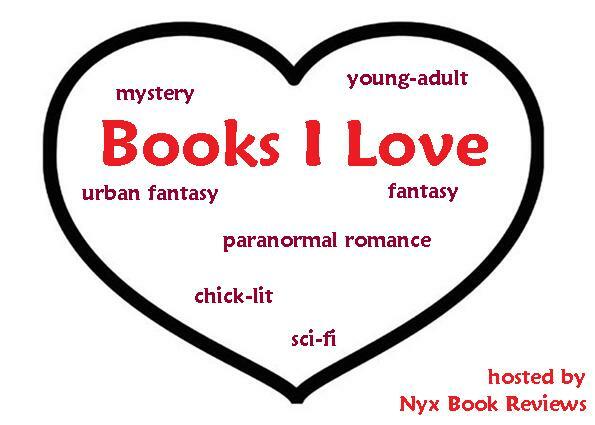 Books I Love is a weekly feature hosted by Nyx Book Reviews where a guest blogger can gush about his or her favourite genre of choice. Hi all! I’m Rebecca from kindle fever and I’m very excited to write a guest post for this new feature Books I Love! It was kind of tricky for me to decide what kind of genre I would talk about, since I can read most of them (as long as they have romance in them), but I decided to go with the one I’ve been mostly hooked on lately: Paranormal Romance. I’ve often been asked why I read specifically paranormal books and what would be so special about vampires, and I have to say it’s a very difficult question to answer. Honestly I don’t know really, but I will try to see if I can get some of my thoughts out there to you all! I can start by mentioning though, that it’s not vampires specifically that draw me towards the paranormal elements; rather that there are so many different creatures that fascinate me. Sure, it was vampires that started it all (actually Young Adult ones at that—The Twilight Saga), but nowadays that’s not at all what I’m looking for. 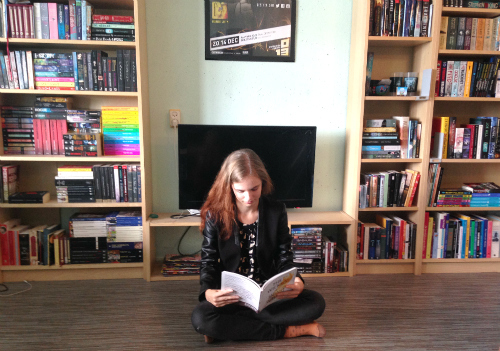 I’m not even a YA fan anymore. You know, one of the major things that make me interested in PNR, is the fact that I love mythology. I’ve always done it, but I’ve never really thought of it too much before. Even when I was little I loved fantasy books; you all remember Harry Potter, right? When it comes to anything concerning mythology and world building, my brain is like a sponge. My friends even started calling me their mythology dictionary a while ago, since I basically know everything about most mythologies and all of the different takes on different creatures. To me a great mythology and worldbuilding is almost as important as the story itself; as long as it’s a good one, it can raise the bar for the whole book. I love reading Contemporary Romances once in a while—and I really like doing so—but the thing is that PNR has much more to offer than only romance. That’s also the reason as to why I like Historical Romances second to the paranormal ones, since they don’t take place in our world, but takes us someplace else. This is also why I’m not really a fan of the Urban Fantasy books, since they have the mythologies and worldbuildings, but they lack the romance. Do you see where I’m going? But why this fixation with romance? Well, I’ve always been a sucker for romance. I’m not sure why, but I have. It doesn’t matter if it’s a romantic comedy or a drama—I just love it. Perhaps you could say I love love. I love the fact that you can feel so strongly about a person that you would do anything for them. I’m not even asking them to do so, just the feeling that you could or knowing that you would. In books though, this is usually put up to test which usually always have my heart beating like crazy. Another thing with my PNRs is that they usually have these old fashioned men, since they’re most often the ones having lived for hundreds of years. And let’s face it; those men appear to appreciate their women a whole lot more than the ones in our society, don’t they? Plus, they’re usually these darker and arrogant men as well who never think they’ll find love and then ends up doing every thing for this one woman who turns out to be the right one. What’s not to love with that? PNRs also offer the idea of love for eternity; for you to live with your loved one forever. Can it be any more romantic? Sigh. Don’t take me the wrong way here though; I’m not saying I want eternal life. And I know that it’s no guarantee a relationship would even survive for that long. But that’s not really the point either. These are imaginary stories meant for us to be able and dream. To me, they kind of symbolize that our love can be eternal, we just have to make that choice. And if we do, we can be with each other always. With all of our loved ones. We just have to believe. I would like to thank Rebecca for being the first one to participate in my feature! 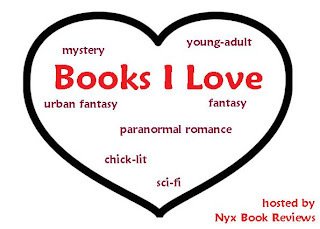 If you want to be featured on Books I Love, feel free to send an email to nyxbookreviews(at)gmail.com with “Guest Blogger” in the subject line.